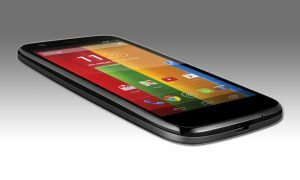 Google’s Motorola released its new smartphone Moto G. The company aims at wider strata of customers with this budget gadget that comes at a reasonably affordable $179 in the United States, and £135 in the United Kingdom. 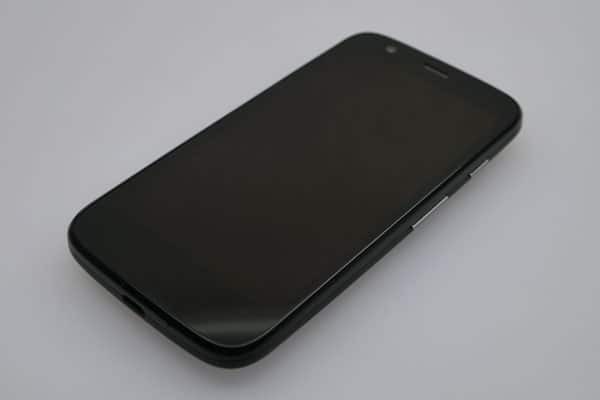 We have seen quite a few leaks that did not seem unintentional, and finally Motorola has launched the sales of Moto G. Being able to physically see the gadget, we can confirm quite a few gossips. Moto G sports a 4.5-inch screen with a 1280×720 HD resolution. The display offers a premium class experience – it is clear, clean cut and crisp, with perfectly legible text and sharp photographs that look amazingly detailed. The screen is scratch-proof, with a Gorilla Glass protection. Moto G also sports a nano waterproof coating both in- and outside, which repels water and protects the phone against incidental splashing. Moto G comes in two editions, with 8GB and 16GB memory. A 5-megapixel back camera and a 1.3-megapixel front camera are quite an appealing addition for a budget Smartphone. Even though it is a budget phone, Moto G offers quite powerful hardware, if compared to its direct competitors. Under the hood, Moto G sports a 1.2 GHz quad-core processor which makes it fast and responsive. Now, the downside is that it only has Android 4.3 Jelly Bean OS, but developers guarantee an upgrade to Android 4.4 Kitkat in January 2014. As we anticipated, Moto G does not support 4G networks. The new budget Smartphone is already on sale in Europe. The British customers are able to buy an 8GB Moto G for £135, but if you want more memory, extend your budget for the purchase because a 16GB Moto G costs £159. Among other perks, Moto G features an ‘all-day battery’ and 1GB of RAM. Now, battery life excels all aspirations. The official Motorola website states up to 24 hrs of mixed usage. In fact, Moto G lasts up to two or even three days of moderate usage. Moto G is fast in loading applications because Motorola made a bet on optimizing and speeding up, instead of tweaking standard Android experience. As a result, the power consumption has been significantly reduced which extended the battery life. The phone comes in quite a chunky 143g weight, and 65.9 x 129.9 x 11.6mm dimensions. Quite heavy, but has a solid feel to it. As you shift it from one hand to another, there is no flex in the phone’s body which speaks for its durability. The solid feel, however, does have a downside in the weight, but all things considered – durability is more important that the weight. Moto G is heavier than Google Nexus 5, or Samsung Galaxy S4 Mini. Nevertheless, the curved back has an ergonomic design and fits the hand perfectly. The plastic back is smooth, but offers enough friction for you to have a confident grip on the phone. For fashionistas and those who get easily bored, Motorola offers Shells, the interchangeable backs that come in a variety of colors – black, white, blue, red, yellow, turquoise and purple. One of the software perks worth mentioning is Motorola Migrate, which helps you transfer all your contacts, messages and call history, videos and photos wirelessly to your new Moto G.
In fact, Moto G is quite an impressive gadget in its price category, leaving behind a lot of competitors. Its price and the fact that it is a full-featured Motorola smartphone makes it one of the best options in a given price range. Some tech geeks name it the best budget smartphone on the market. If you want a powerful and impressive smartphone that won’t cost you a fortune, Moto G will make a great Christmas present. If compared to a variety of budget niche competitors, such as Samsung, Nokia, HTC, ZTE and Huawei phones under $300, Moto G definitely stands out. It is fast, ergonomic, and handsome, with an exceptionally long battery life, big screen, fast processor and a variety of software perks. Motorola is hoping to change the down market, especially after the Moto X insignificant impact on sales. Moto G is feature-packed and offers premium phone experience for one third of the price its competitors charge. Considering that it comes with an extra 50GB Google Drive cloud storage, Moto G is an exceptionally good bargain at its price.